made with Drambuie, yuzu and cinnamon honey syrup. The fragrance of the rich citrus YUZU and the scent of sweet spice is very harmonious. 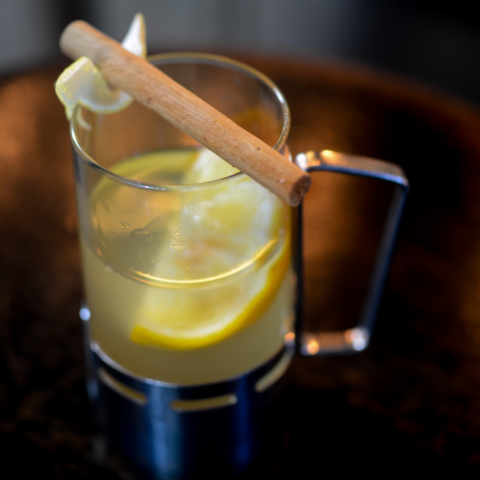 Perfect Hot Cocktail for some Winter solace……. Please come along to enjoy this hot cocktail to make yourself warm.